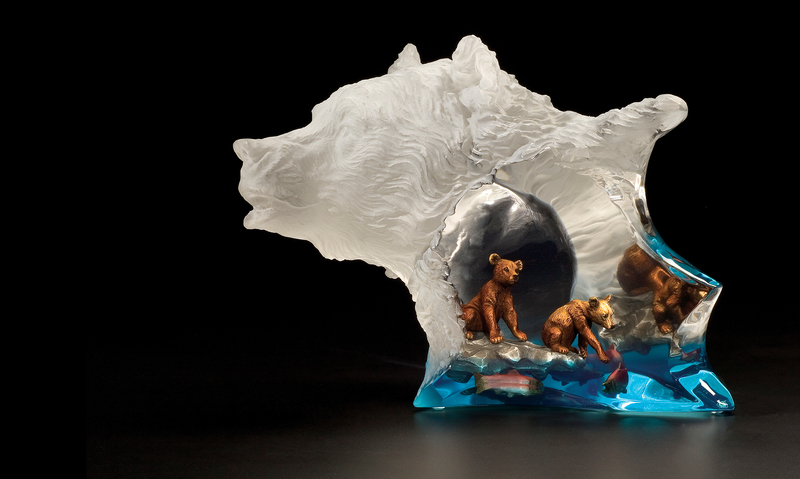 Achievement is perhaps one of Kitty Cantrells most beautiful eagles, embedded in Lucite. Soaring high into the clouds on a clear day, these two eagles have found their unity. Achievement is a symbol of the eagles everlasting quest for freedom and flight.